Midlands Lubricants supplier and distributor of premium quality oil and lubricants have a comprehensive range of high quality High Viscosity Index (HVI) hydraulic oils suitable for use over a wide range of operating machinery and temperatures. HVI hydraulic oils are made from solvent refined base oils incorporating high performance hydraulic oil additives to provide excellent protection against oxidation, corrosion, wear and foaming and are boosted by the addition of polymeric viscosity index improver additives that enable these oils to maintain an effective lubrication viscosity at elevated temperatures, so staying thicker longer under pressure. Midlands Lubricants also offer a full range of HVI Hydraulic oils including HVI 32 Hydraulic Oil, HVI 46 Hydraulic Oil and HVI 68 Hydraulic Oil as well as CAT 10w Hydraulic Oil and CAT 30w Hydraulic Oil. 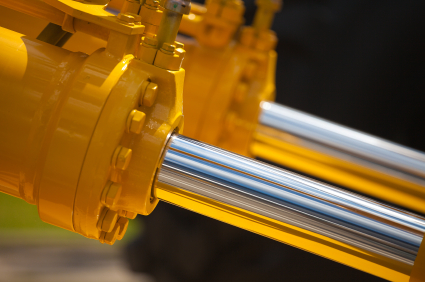 So what are (HVI) Hydraulic Oils? HVI or High Viscosity Index oils are top of the range specially formulated hydraulic oil that maintains their ideal viscosity or thickness, over an extreme range of temperatures. So HVI Hydraulic Oils achieve increased performance levels and stay thicker longer under pressure. Do you have a number of pieces of hydraulic equipment? Chances are that Trucks, Cranes, Tractors, Backhoe Loaders, Dumper trucks, Scissor Lifts, Excavators, Combine Harvesters, Military Vehicles etc, seems that they all require different Hydraulic oil. Midlands Lubricants Hydraulic HVI range now allows you to save money consolidating inventory with a more multi purpose Hydraulic HVI Oil. *Please note that not all Hydraulic Oils are interchangeability so please check the OEM manual so avoiding irreversible harm. Midlands Lubricants Tractor range includes.